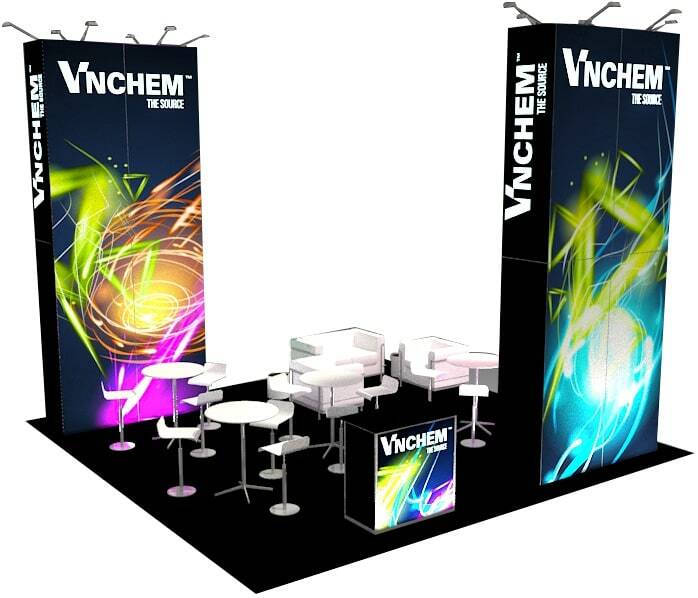 View 20×20 trade show booth and display ideas. 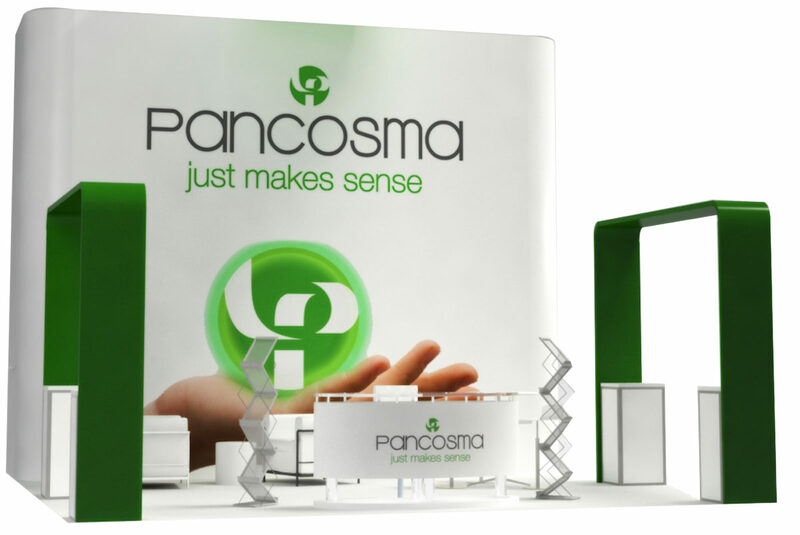 With endless trade show booth design options and companies that can provide them, you need help cutting through the noise. 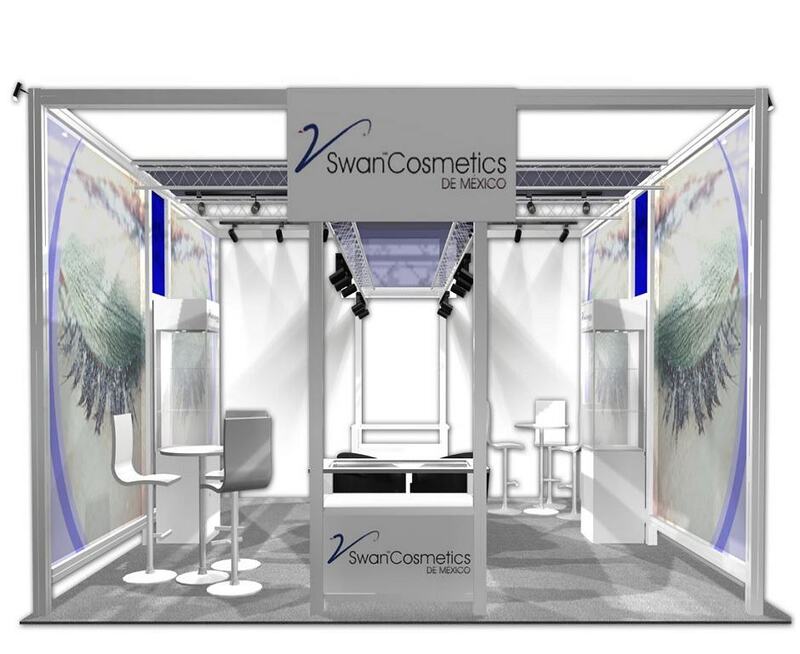 Metro Exhibits learns about your goals, needs, and brand to provide the right 20×20 trade show booth for your unique company. 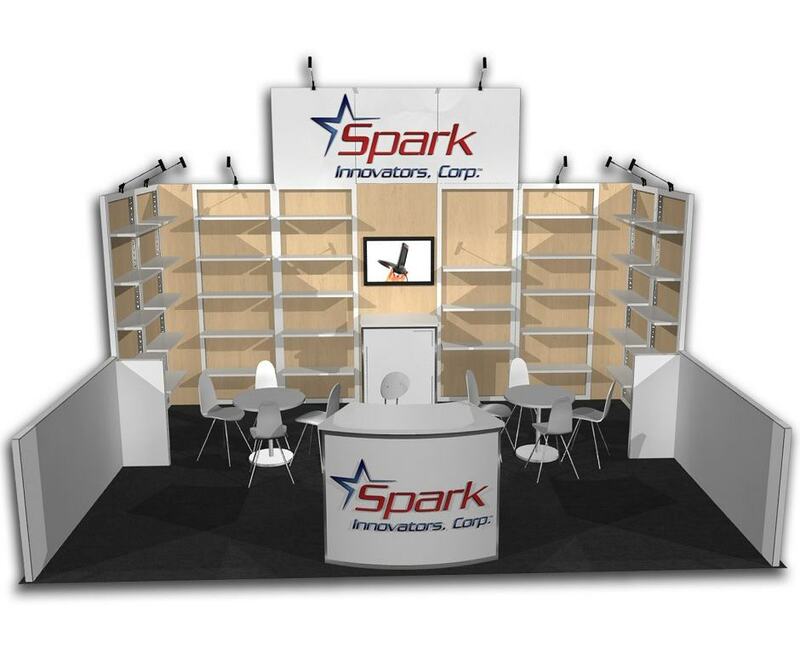 We have the capability to offer 20×20 booth rentals or custom carpentry items for purchase. 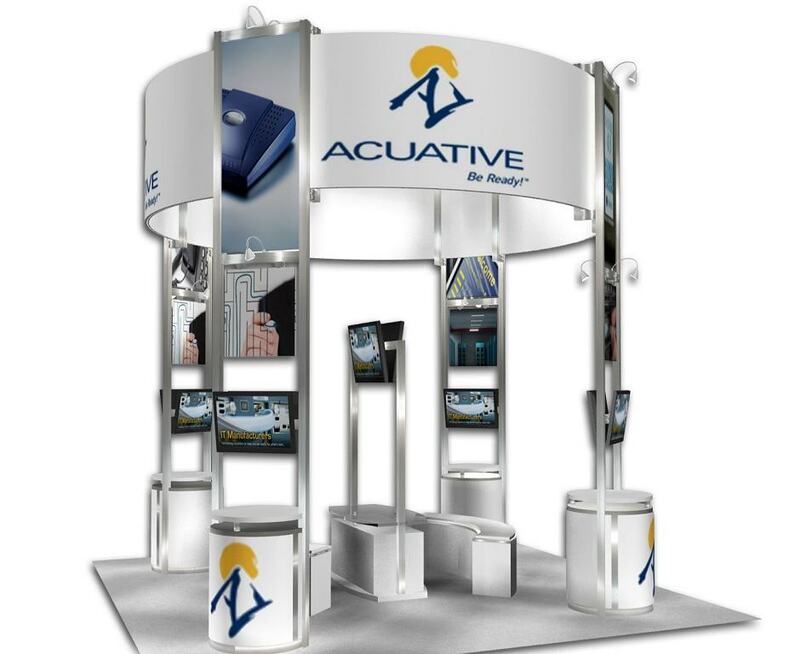 We are full service trade show booth manufacturers with the ability to offer all types of trade show supplies and booth options. 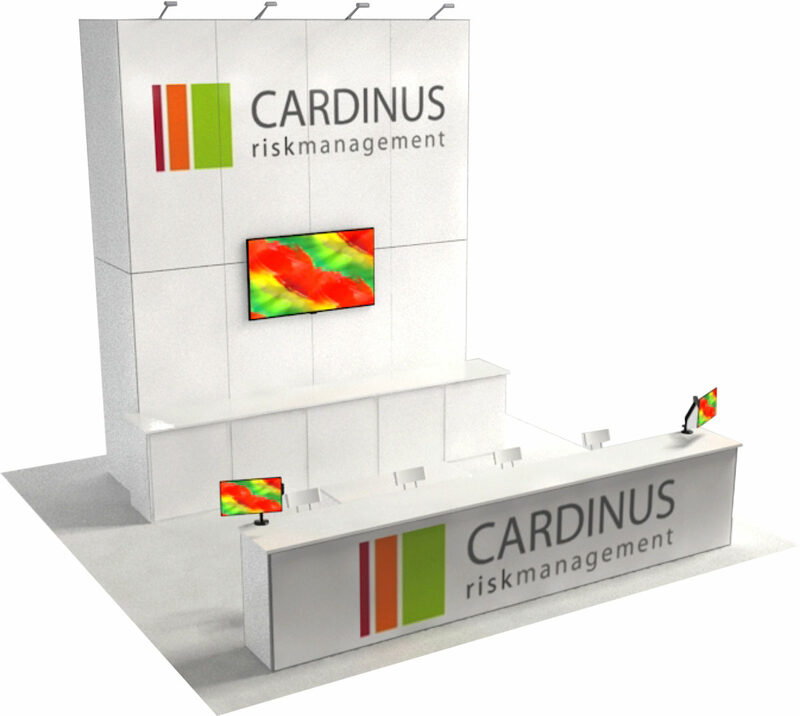 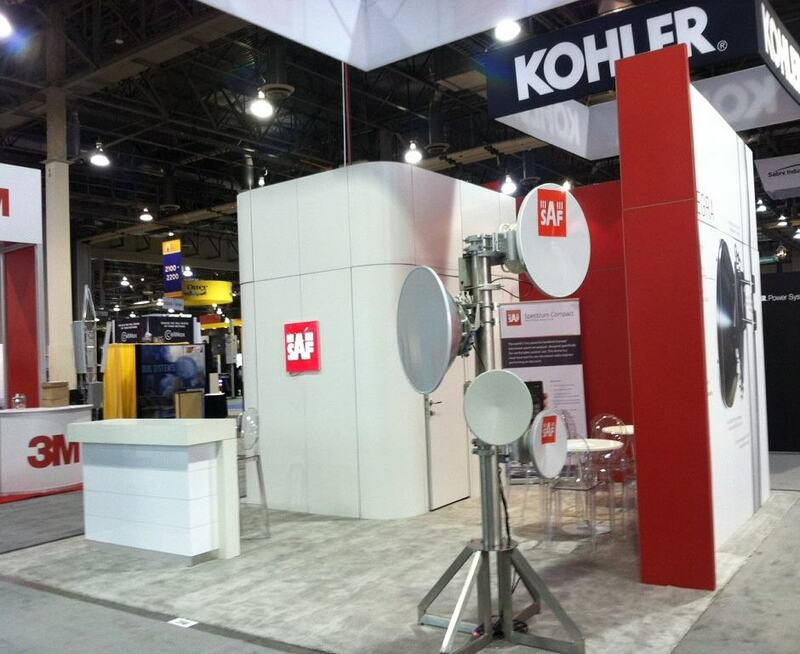 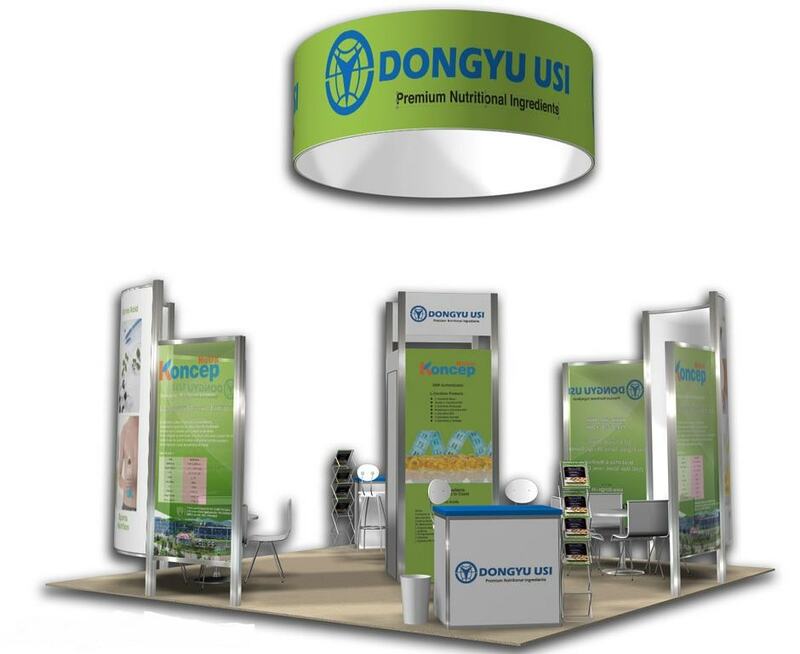 We specialize in making trade show exhibits a beacon to attendees, ensuring the notice and attention it deserves. 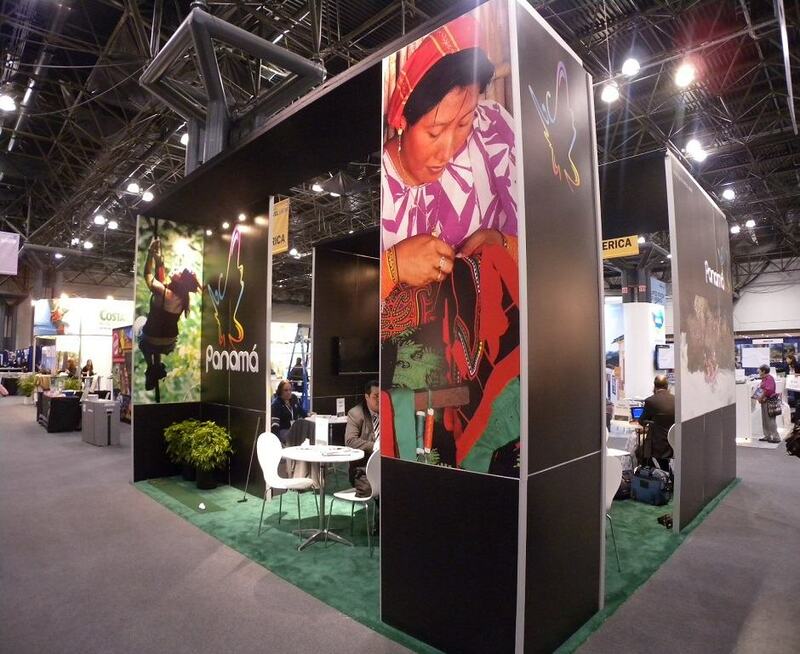 Browse some of our 20×20 ideas and examples of past work as a starting point. 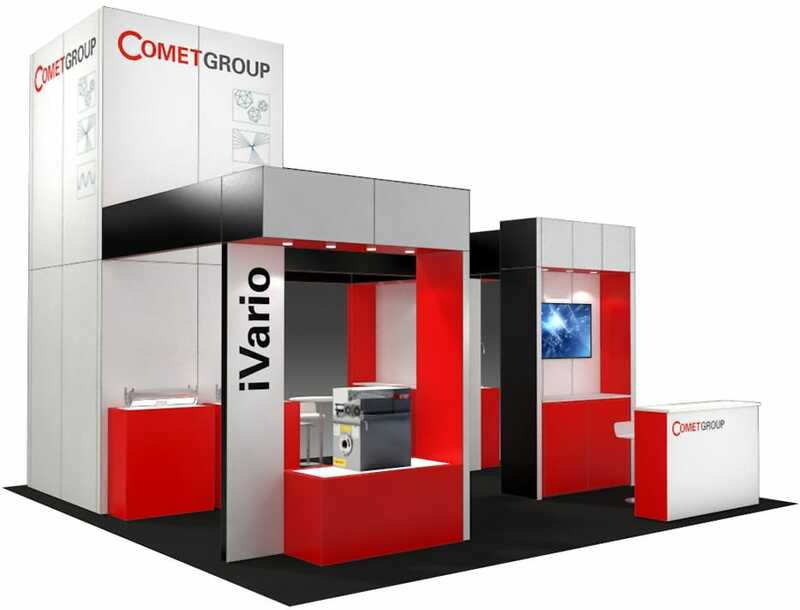 We can furnish you with a modern, unique rental booth backed by exemplary white glove service. 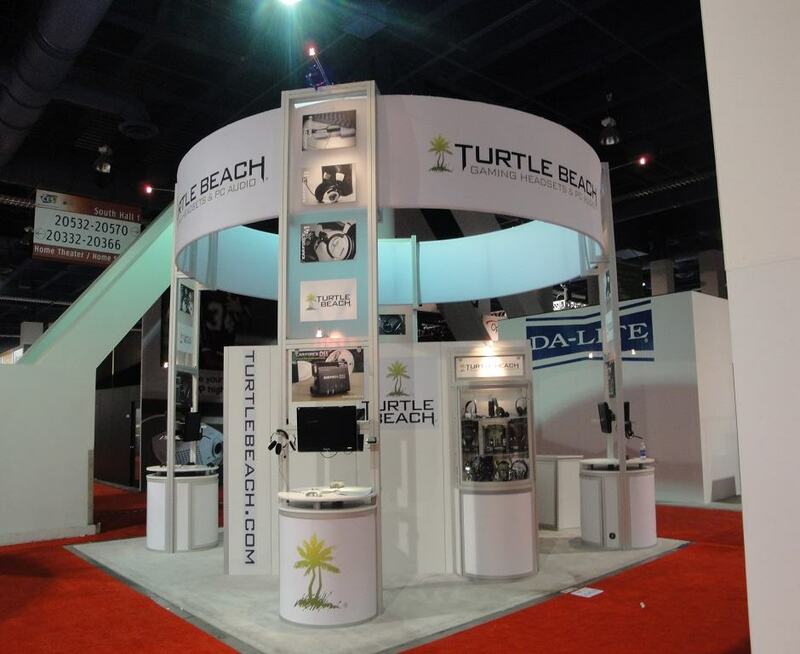 You also have the option of a used trade show booth with custom graphics and brand imagery. 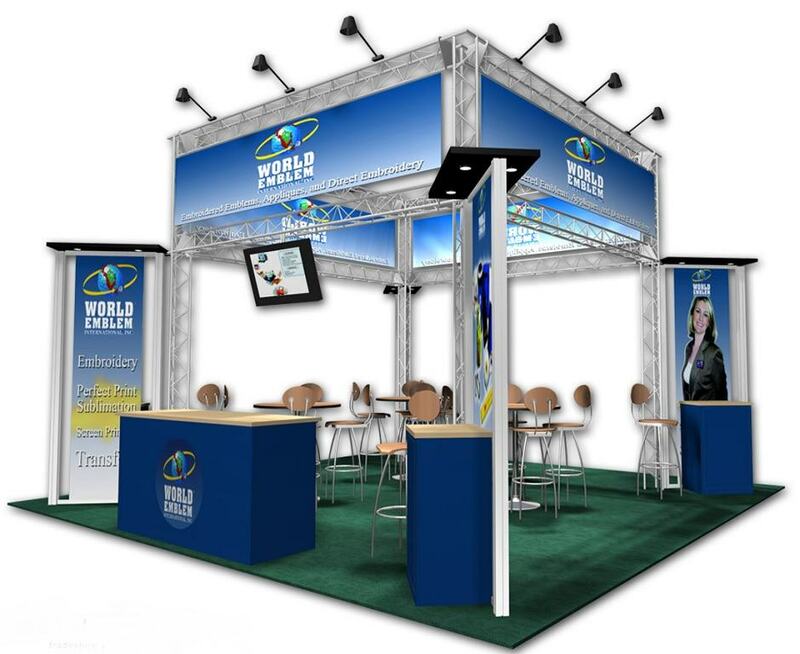 Contact us for more information or trade show booth tips that can help you stand out from the crowd.